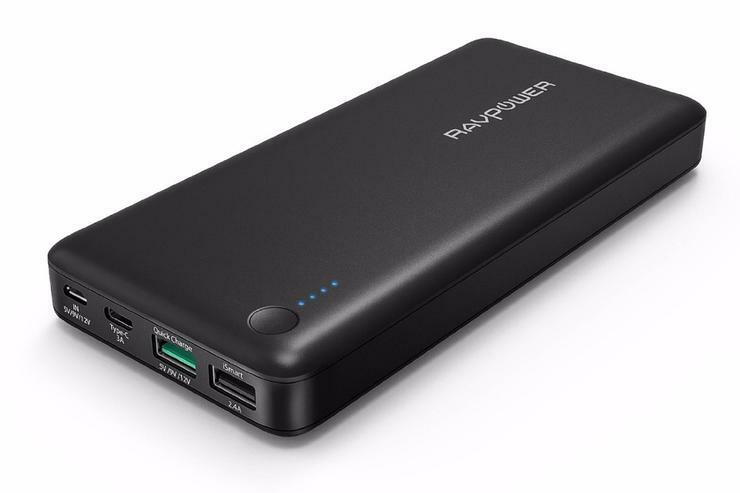 RAVPower’s 20100mAh External Battery ($60 on Amazon) is a revised version of a RAVpower battery pack we tested a few months ago. The new version has some slight advantages compared to its predecessor, one of which is a lower street price. 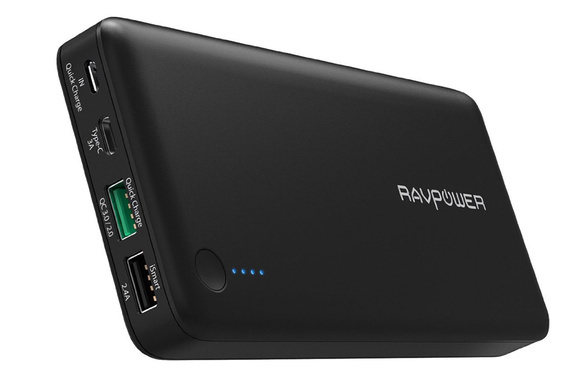 Nonetheless, the RAVPower RAVPower 20100mAh remains underwhelming compared to every alternative in its class. It has a similar set of six internal cells, just like our top-ranked Anker PowerCore+ 20100, even down to the identical reported capacity, but seemed to be an entirely different beast in testing. The RAVPower is a nearly 75Wh battery, but I was able to charge my MacBook while it slept by only about 25Wh (about 70 percent) before the pack was out of juice. The comparable Anker managed about twice the effective charge, delivering 40W to the MacBook with a comfortable margin of about 10W remaining, while a 56Wh Kanex was about as efficient, delivering about 35W total. Different cell suppliers and different circuitry designed to protect those cells certainly have an impact, but this seems much worse. Testing of other RAVPower units by other sites showed a poorly-rated capacity to available power ratio for similarly high mAh models. The revised version of the battery includes two flavors of the Qualcomm-designed Quick Charge standard, 2.0 and 3.0. The newer 3.0 version has the same maximum wattage but provides a wider range of combinations of voltage and amperage for the needs of disparate phones and other devices that support it, allowing a much faster recharge than with standard USB. It can also recharge itself via either QC 2.0/3.0 (at up to about 24W) and USB-C (up to 15W). Using a RAVPower QC 2.0/3.0 adapter, it took about 4.5 hours to refill, or a couple hours faster than the Anker PowerCore+. That would be a bonus, except for the marked difference in output capacity between the competing packs. The battery includes a mesh carrying bag, Micro-USB to Type-A cable; and an 18-month warranty from date of purchase, plus additional 12 months with product registration. Its capacity, speed, weight, and price make it a poor option for a MacBook owner and too expensive even for the discerning smartphone owner whose device supports QC 2.0/3.0.